I’ve been putting this off and putting this off. 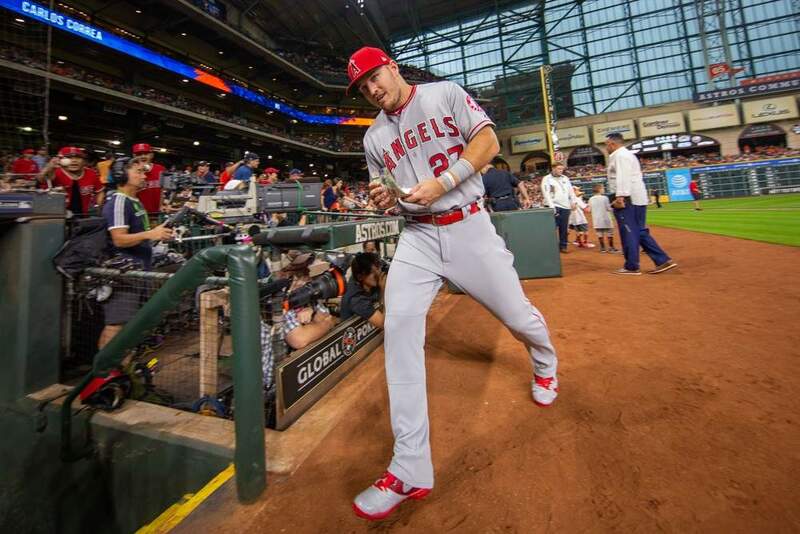 We started pumping out content for our 2019 Fantasy Baseball Draft Kit on New Year’s Day, but with so many free agents yet to sign, I’d held off on my Top 400. Now the Super Bowl is in the rearview and more eyes are turning to baseball. It’s time for my 2019 Fantasy Baseball Rankings. Damned be the free agents! If you haven’t yet, please also check out my AL-Only and NL-Only Rankings. Of course there’s going to be a lot of updating with those as players are added to the player pool. All these free agents will be signing somewhere (I think) so hopefully the updates won’t be huge. There are a few teams with open closers situations, so those may be the most impactful signings I’ll have to watch. Either way check back regulary as I’ll update all these rankings weekly if needed. My rankings are strictly derived from the projections I have completed for each player. When things don’t look quite right to me, I’ll take a second look at the projections, but in the end, if the projections are solid, the ranking stays. Though these rankings could be used for smaller mixed leagues, they are optimized for 15-team leagues. This means they are reliant on positional requirements. I built the player pool by selecting my top 30 catchers, my top 15 first basemen and so on down through each position. I used the standard positional alignment with 2 C, 1 1B, 1 2B, 1 3B, 1 SS, 1 MIF, 1 CNR, 5 OF, 1 UT, and 9 P.
This positional configuration leads to 345 players drafted (15 X 23). I added on my next 55 highest rated players for reserve consideration. You’ll notice that some of the bottom 55 have better stats than a lot of the catchers in the top 345. That’s just because you have to draft the catcher position. If you are in a one-catcher league feel free to keep the top 15 catchers and kick the rest to the fantasy curb. For my positional rankings, I included players at each position they qualified for using a 20-game requirement. If they did not play 20 games at any position I put them at the position they played most. Because I know some leagues have different eligibility requirements, I also included 2018 games played data for all hitters. For pitchers I made a judgment on whether to put them with the starters or the relievers… This didn’t use to be so hard. I put Ryan Yarbrough and some of the Rays bulk guys with the starters. With my next update, I’ll try to include games started and appeared in for those of you who have specific requirements when it comes to pitchers. Thems the basics. I’ll be updating my projections every Saturday and my rankings every Sunday. If you’d like a printable version here is the Top 400 Overall. Pair that with our printable 2018 Games Played by Position and you’ll be set for any draft you decide to tackle. Buying into Doug’s Fantasy Baseball Rankings? 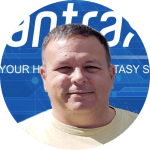 For more great rankings, strategy, and analysis check out the 2019 FantraxHQ Fantasy Baseball Draft Kit. We’ll be adding more content from now right up until Opening Day! 1st off – Really loving what you guys are putting together here. You are quickly becoming my go to source for just about everything. Question about my team below. 12 team 5×5 roto keepers league, keep 15, start C,1B,2B,3B,SS,IF,4OF,DH,5SP,3RP,1P. Set lineups weekly, start season with 2 Free Agent pickups and gain another every 2 weeks. I think our format leans towards keeping more elite SP, as we can’t stream with the limited FA pickups. I’ve asked for a lot of help on various trades the last couple weeks (Ohtani trade fell through, JD MArtinez for Kluber is trade, he would not take Verlander to help me with salaries, and so I found a trade for cheap Suarez which gives me other options). Option 1 is what my team will be with no trades. Really like the idea of keeping lots of Elite/Quality SP, but don’t like going into the draft without an RP. Happy with bats overall. Option 2 – Swap out Kluber for JD Martinez. Bats become Elite. SP, takes a hit though and still no closer. Option 3 – Replace Mikolas/Lopez with Leclerck/Suarez. SP takes a little hit, but I get to go into the draft with a closer. Option 4 – I do both trades and improve bats with JD Martinez, but SP takes a hit with no Kluber, Mikolas, Lopez. But I go into draft with closer. Option 5 – Option 2, but replace Lecrerck with Dahl since I now have JD. Which option would you go with and why? How is it you are not protecting JD Martinez? I do not assign much value if any to Suarez in a 12-teamer. He might be okay at best. So for me it comes down to Option 1 or Option 5. I’d love having 3 aces, but as I think is the case with you, I hate going into a draft unbalanced. I’m not the world’s biggest Mikolas fan, but he should be solid at the least.It may also be hard to get a bat like JD as well as I imagine most elite hitters will be kept. So I lean slightly to option 5. Mondesi and Anderson both above Correa are two that really stood out to me. Know he had an injury riddled year, but would love to hear your rationale on that. What about Correa aren’t you buying – is it strictly health related? Mondesi I can see the hype from his 2H last year, but Anderson at 44 jumped out at me big time. Also seems like you’re buying into Hoskins, Olson, and Devers to take that next step in their development. These are based right from projections. Some of that is health based and Correa is a player I will monitor during Spring Training for sure, but to be honest, has he really been an elite player? He’s never hit more than 24 HRs, never driven in or scored 100. Heck his career high in runs scored is 82. He’s stolen a total of 5 bases over the last two seasons, and he’s hit under .280 in three of four seasons. He’s a talented player and that lineup will help him a ton, but at some point doesn’t he have to prove it… With that said, if he looks healthy this spring, I could see him moving ahead of Anderson. Mondesi though is going to steal a ton of bases in KC and come close to Correa in HRs. So is a possible 40 SB advantage worth more than .40 points in BA? Fun stuff though. I’m going through my rankings just like you did. Each run I see players that out of place. I’ll go back and look at the projections. Sometimes I adjust, but in many cases the math is what it is. I am projecting those three young players to take another step forward… Thanks for reading and commenting. I love that it’s time we can talk baseball and debate rankings! This list has no faith in Corey Seager. I think he will return to form and remain healthy. In my view, ranking him worse than 150 is absurd. Even the biggest pessimist should have him the top 100. He’s one player we’ll definitely be watching this spring. For me it’s all about health. In addition to the Tommy John Surgery, he also underwent offseason surgery on a torn hip labrum. He’s missed time in the past with back issues. If he’s looking healthy this spring I bump him up quite a bit. But our rankings are where we view him right now, and in his current situation the risk moves him way down my board when shortstop is so deep. Lastly, I think Aguilar deserves a little more respect with extra corner infielders. Just my two cents! Thanks! Thanks for reading. Yeah, I am down on the middle group of starting pitchers. I have an update coming this week, so I will bump Marquez up some and will have to drop Keuchel a bit if he doesn’t sign. Other than that though, I won’t be changing a ton. I’ve got Mikolad projected with an ERA around 3.90 to 4.00, much more in agreement with his SIERA from 2018. All the rankings are based on projections and when starting pitchers don’t throw as many innings they fall down quite a bit. I’ve got Andujar projected pretty close to what he did in 2018 when he was the 28th ranked hitter. Dahl, I would have no doubts on… if he can stay healthy. That’s a big IF no doubt. Puig in the ballpark in Cincy? He also runs? Career year easy.